Three of the pioneering instruments that unveiled the magnetic and electronic structure of surfaces in exquisite detail are now on display in the atrium of NIST’s Advanced Measurement Laboratory on the Gaithersburg campus. The historic instruments were all built by alumni of NIST’s Physical Measurement Laboratory (PML). 1. In the 1970s, PML researchers developed the first spin-polarized electron gun, a critical tool for studying surface magnetism. The gun generated a high-intensity beam of electrons whose spin--a quantum property that endows each of the particles with a tiny magnetic field, like a miniature bar magnet--all pointed in the same direction. By producing a unidirectional, or polarized, beam, the gun provided scientists with a new and highly sensitive probe of spin-dependent magnetic interactions at the surface of a material. In operation, the polarized electron gun sat on a large vacuum pump rather than the black anodized stand in the display. The NIST machine shop cut away a section of the gun’s vacuum chamber to reveal key internal parts of the apparatus. The tennis ball attached to one end of the spin polarized gun was a safety feature, ensuring that researchers would not hit their heads on the instrument, which was mounted at standing height. 2. 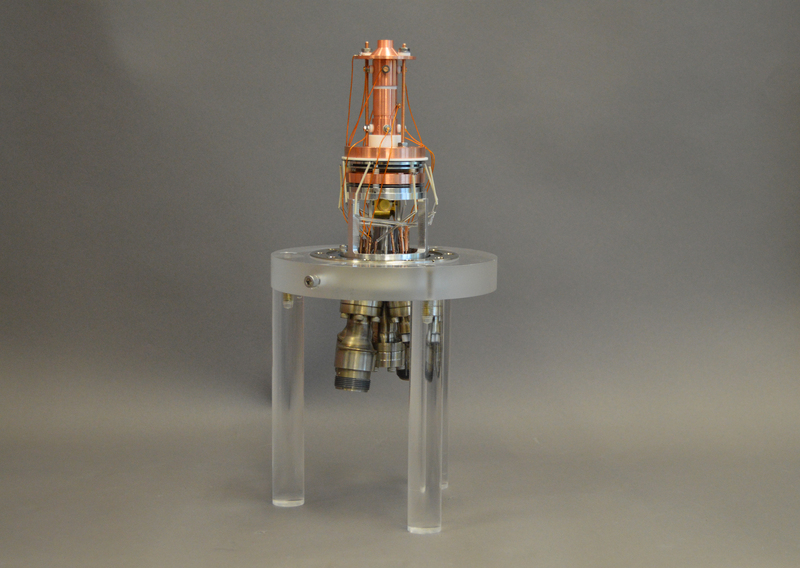 PML scientists relied on data taken with the electron gun to develop a new type of spin analyzer, a detector that measures both the direction and magnitude of electron spin. Conventional spin analyzers in the early 1980s were somewhat unwieldy (about one cubic meter) and operated at high voltage. 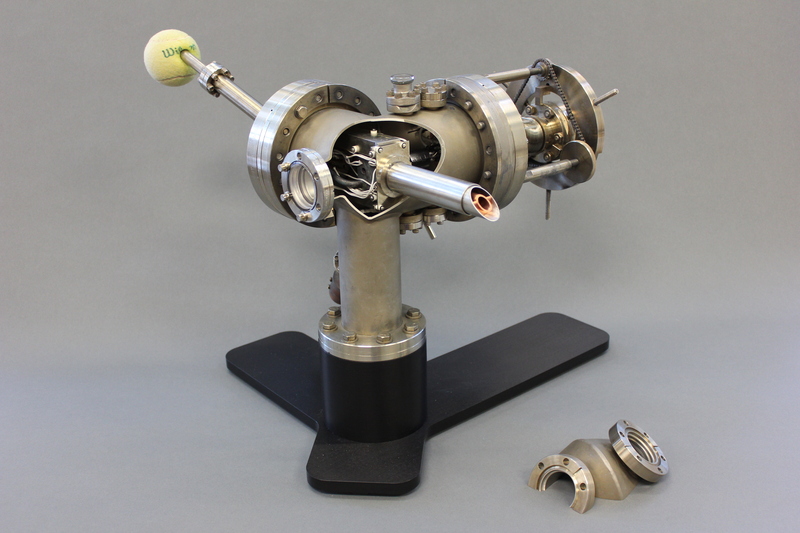 The fist-sized spin analyzer that the scientists developed made it easy to attach to a scanning electron microscope, which reveals surface structure on the atomic scale. The combination of the scanning electron microscope and the polarization analyzer created a powerful new technique, known as scanning electron microscopy with polarization analysis, which dramatically boosted the ability to discern fine detail in images of the magnetic microstructure of surfaces. 3. Built by PML scientists in 1984, the scanning tunneling microscope, or STM, on display in the atrium, was one of the first such instruments available in the U.S. Researchers designed the microscope to replicate an STM built by scientists at the IBM Zurich Laboratories in 1981, an achievement that five years later won the Nobel Prize in Physics. 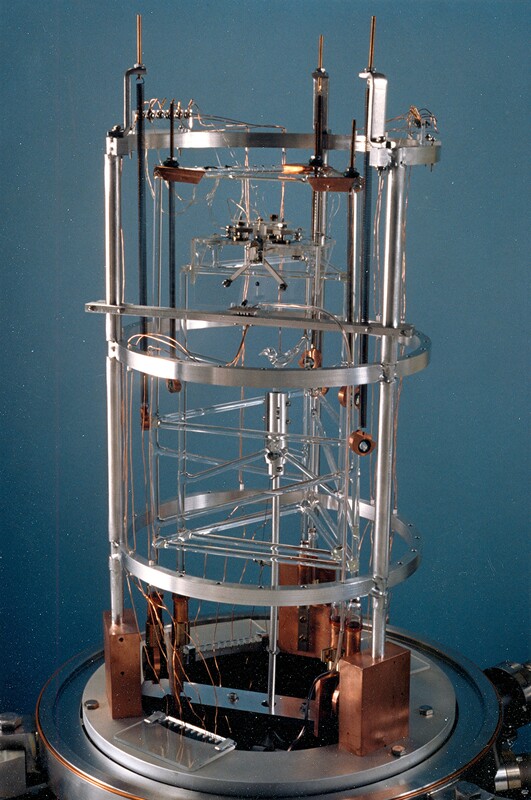 The early NIST instrument has taken on added significance because the original IBM STM was accidentally destroyed. To create its fine-scale images, an STM uses a sharp probe that tapers to a point only a single atom wide. When the probe nears a metal surface, a phenomenon called quantum tunneling occurs. Clouds of electrons can “tunnel” through the vacuum between the metal surface and the hovering tip, producing a current when a small voltage is applied. When the tip is within a few atomic diameters of the sample, even tiny changes in distance cause significant changes in current. Scientists use these current variations to build three-dimensional atomic-scale maps of surface structure.